Do You Hunt in Urban Areas? George Moore hunts some prime suburban property surrounded by housing additions and a golf course in eastern Oklahoma County. The area produced a state-record typical buck 20 years ago, and many respectable bucks since. In 2009, Moore heard about a giant whitetail that had been seen on the property next to his hunting area. Thinking he could coax the buck onto his property, Moore planted a few extra food plots, and supplemented them with piles of rice bran. Soon, the buck began appearing on his trail cameras. Moore became obsessed with him, and nicknamed him “Most Wanted.” In photos, the buck appeared to be a typical with all the ingredients necessary for a high score – long tines, mass and a wide spread. Eighteen days into archery season, Moore hadn’t seen the elusive monster. But he had a feeling his luck was about to change. After climbing into his treestand for an afternoon hunt, he noticed the weather had cooled off. His wait was brief before does and a small buck appeared and fed beneath him. Suddenly, the deer peered intently into the nearby trees, and then slowly moved away. Moore wondered if a bigger buck was approaching. With tensed nerves, he slowly reached for his bow, knowing that something lurked just beyond his view. Now, after all the waiting, Most Wanted emerged from the trees and stood 20 yards from Moore’s ladder stand, eating the rice bran. Taking careful aim, Moore released an arrow that passed through the buck’s left shoulder. The buck spun and ran, disappearing in an instant. The next morning, Moore’s son, Matt, found a good blood trail and the dead buck 80 yards away. Sixty days later the buck was officially scored. The non-typical rack checked in at an amazing 206 5/8 inches gross, and netted 191 7/8 inches. Mark Hanaway lives in eastern Oklahoma County and has hunted deer for more than 30 years. He has taken some nice bucks since he began deer hunting, but one he took a few seasons back literally left him speechless. On November 22, after finishing his chores early, Hanaway grabbed his smokepole and rushed to his treestand with his wife, Wendy. A few days earlier, while feeding his horses, Mark had seen a big 10-pointer. The pair sat together in their double-ladder stand in hopes of seeing the big 10-point buck, while automobiles sped by noisily on the busy interstate bordering their property. Mark slowly raised his frontloader, placed the sights behind the big buck’s shoulder, and fired. When the smoke cleared, the buck was dead in its trucks. Mark and Wendy climbed down to inspect the huge buck. The presumed 10-pointer buck had 25 points instead, and nearly a 2-foot spread. The huge buck’s rack scored 219 5/8 inches and has the distinction of being the largest non-typical ever taken in Oklahoma County. Matt Myatt hasn’t hunted as long as Moore or Hanaway, but the 23-year-old bowhunter knows there are some giant bucks in eastern Oklahoma County. A few seasons back, he killed one of them. Myatt and his hunting buddy, Jakin Lambeth, were hunting some land that had produced a few small bucks over the last few years. Their hunting spot was relatively open with a few patches of trees. Deer generally travelled through the property daily while bedding on adjoining properties. Myatt had set out a feeder in hopes of attracting more deer and placed a trail camera nearby. He wasn’t disappointed. Although most of the pictures showed does and a small buck, one photo revealed a true bruiser was roaming the property. Excited, Myatt hung a ladder stand in a cedar tree and waited for opening day. Myatt hunted the first few days of the season, which opened October 1, without success. Oct. 7 dawned overcast with scattered rain showers. Myatt and Lambeth decided to wait until the afternoon to hunt. Myatt sat idly for four hours that afternoon, and then had a small fork-horn buck and a decent 8-pointer walked by his stand. The fork-horn stood between Myatt and the 8-pointer, so Myatt had to pass on the shot. He hoped that perhaps the 8-pointer would return before dark. Thirty minutes before dark, Myatt spotted three deer heading down a trail toward his stand. When the buck stepped out of some cedars 20 yards away, Myatt’s bow was already drawn. At the shot, the buck seemed hit, but darkness fell quickly on the already gray and overcast evening and darkness came quickly. With adrenaline coursing through his veins, Myatt called Lambeth to tell of his good fortune. Soon the two hunters took up the trail and followed blood for two hours before their flashlight’s batteries died. The pair returned the next day to look for the buck, and found the brute dead a short distance away. The buck was much larger than Myatt thought, and sported 23 gnarly points. Later, the bow-killed non-typical suburban buck netted 180 5/8 inches. Adam Hays III, an incredible bowhunter who has arrowed three 200-class bucks, believes that suburban bucks get so big for one simple reason: they’re overlooked. Most hunters drive by the small patches of woods where they live to hunt larger parcels of land. But suburban bucks quickly adapt and flourish in these smaller surroundings. Many states have excellent hunting in the suburbs, just waiting to be tapped into by savvy hunters. “Many city-limits hunting spots don’t allow gun hunting, but are ripe for bowhunting,” Hays said. 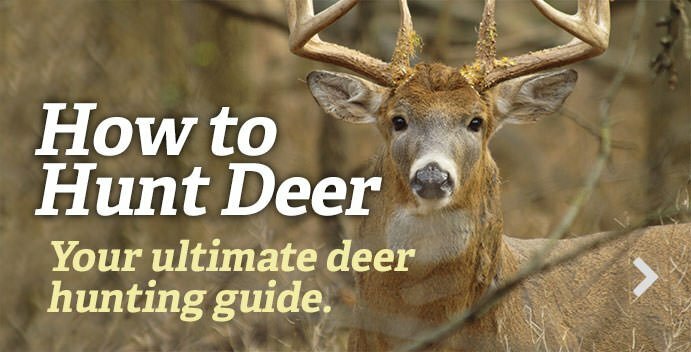 It only takes three ingredients to have deer – food, water and cover. And the vital ingredients for growing big bucks are also threefold – age, genetics and nutrition. Age is the most critical ingredient. If you want to kill some real wall-hangers, you must let them live long enough to grow their best headgear. Editor's Note: This was originally published September 3, 2011.